Nothing else can give you the look of real taper-sawn wood with the durability and resilience of a Euroshield rubber roof. There’s simply nothing else like it. This ultra-light, luxury-looking roof is virtually impervious to anything Mother Nature can throw at it. A relatively new addition to the line, this light and thin recycled rubber roof is lighter but still provides outstanding weather resistance and durability. Technilogically advanced, easy to install, and virtually impervious to weather, these rubber panels are much less expensive to install than a traditional shake roof. 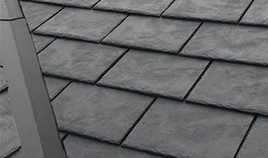 For a rough-chiseled, slate style roof, this is the choice for you. 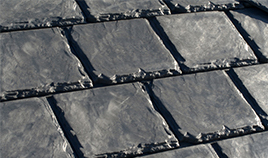 As beautiful as slate but more durable, less expensive and easier to install. For more information on Euroshield roofing or for free consultations with one of our team members, contact us now. Perfect for winter in Edmonton, Euroshield roofing is ideal for both residential and commercial properties. Whether it is a roof for your new property or you have to replace your existing roof, you can opt for Euroshield roofing, knowing for certain that you have made the best decision. In comparison with all other roofing materials, from asphalt to metal, Euroshield recycled rubber roofing offers a fine balance between price and quality, aesthetics and durability, eco friendliness and resale value. 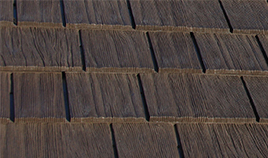 Durability has to be one of the foremost criteria to choose a roofing material. No property owner will want to invest in a roof that only lasts a few years. Asphalt roofing can last for ten to twenty five years. 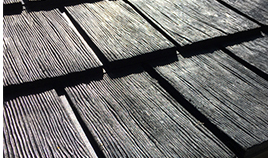 There are many types of asphalt roofing. If you choose premium asphalt shingles then you can expect its durability to be up to thirty years. And you would have to spend on numerous repairs and upgrades over the years. Euroshield rubber roofing comes with much better durability. It can last anywhere from fifty years to more than seventy five years. With Iron Shield Roofing, you can expect it to stand strong for up to eighty years. Affordability is a very important factor. Every property owner will have a budget and one cannot really shoot north and indulge in unaffordable expenses. Euroshield rubber roofing is not the cheapest but it is certainly the more affordable choice when you compare premium solutions like metal roofing or other types of rubber roofing. You would marvel at Euroshield rubber roofing. 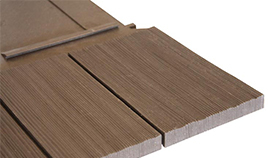 It can be manufactured to resemble cedar tiles or slate tiles. In effect, you can have any kind of aesthetics that you want with Euroshield rubber roofing. Euroshield rubber roofing can be recycled. In fact, the Euroshield rubber roof you would have installed will be made of 95% recycled materials. No other roofing material can be recycled as much. Euroshield rubber roofing is easy to install with our expertise. The roof is also lightweight which makes it ideal for most homes and offices, regardless of the type of deck or substrate layers the property has. Euroshield will also be less vulnerable to hail and weather extremes. The sturdiness will ensure that you don’t have to spend on costly repairs.